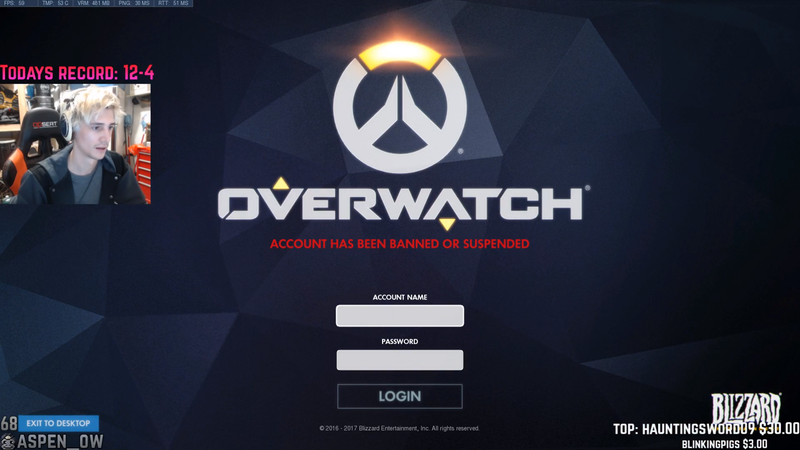 Félix “xQc” Lengyel was playing a competitive Overwatch match last night when suddenly, he was booted from the game and informed his account had been banned or suspended—an action that’s sparked discussion over false reporting. Lengyel was mid-match when it occurred, leaving his teammates down a player after the punishment was placed on his account. You can see the confusion when the game goes from just an average end-of-round screen to the log-in page. A player from the Canadian Overwatch World Cup team that recently took on South Korea in the BlizzCon finals, Lengyel is set to make his Overwatch League debut next month in the preseason matches. After the ban was issued, Lengyel opened the accompanying email from a no-reply address at Blizzard on stream. The message says the suspension will last 72 hours, for the offense of “misuse of reporting system.” Issued “only after a careful review of the evidence,” the message specifies that it refers to reporting other players for the express purpose of preventing them from playing. “False reporting” is the colloquial term for reporting someone in a game of Overwatch without reason to do so. The reporting tool is meant to help Blizzard moderate players who try to intentionally ruin games, spam abusive terms, or just generally make the game worse for all other players involved. But anyone can submit a report if they want, truthful or not, and it’s unclear how much additional information is used to support those reports when they reach a Blizzard rep’s desk. We’ve reached out to Blizzard to clarify the reasons behind the suspension, but have not yet received a response. Lengyel, in the mean time, had some passionate words about Blizzard’s actions. While this event certainly highlights the dangerous potential of a witch hunt over information lacking in context, it also raises the issue of false reporting and how much information is really included with any given report. It would stand to reason that a look at Lengyel’s match history would show if he had played multiple games with the same person, a player who might have stubbornly refused to switch in a high-level competitive match and died repeatedly because of it. Since Lengyel is also an Overwatch League player, there’s an issue of professional ramifications as well. Until Blizzard issues any sort of official ruling on the matter, we only have the clips to go off. In the mean time, enjoy this dumb, dumb edit of the moment of Lengyel’s mid-match ban, cut to a somber tune. Update [8:37 p.m. ET]: Lengyel has also issued a statement on the matter, apologizing for the reports he sent. We have updated the headline of the piece to accurately reflect the nature of the continuing debate.